On December 10th, Adweek announced agency Droga5 as the US Agency of the Year. 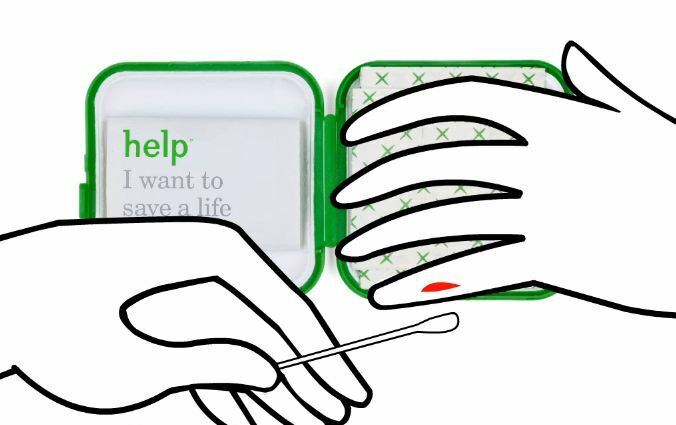 They credited Droga5 with the award after Droga5 won the Cannes Grand Prix for Good award this past year for their bone marrow donor campaign for Help Remedies along with another gold Lion for its Prudential campaign. Oh, and don’t forget about their departmental expansion of adding analytics, PR, and strategy departments plus their digital tools development project, De-De. With such growth, it may not surprise you that they increased revenue by 43% at $41 million. While they were at it, they raised another $1 million for Unicef’s Tap Project that provides nonsustaining countries with clean drinking water. Not too shabby financially for some award winning-advertising. Financial stuff aside, this campaign is absolutely awesome. Help Remedies‘ audience clearly cares about health if they’re willing to buy premium bandages, which makes me think they’re likely to donate to a good cause when their pockets, er, hearts feel like it. I’ve been reading Leo Burnett’s HumanKind after finishing Ogilvy’s Confessions of an Advertising Man. Basically Burnett’s current mindset is to participate with their audience and solve their audience’s problems, not just the single problem the advertised product solves. Yeah. We solved the problem. Droga5 found a solution, or found the people with whom to create the solution. They put a simple & quick registration form inside a bandage box WITH THE BANDAGE. 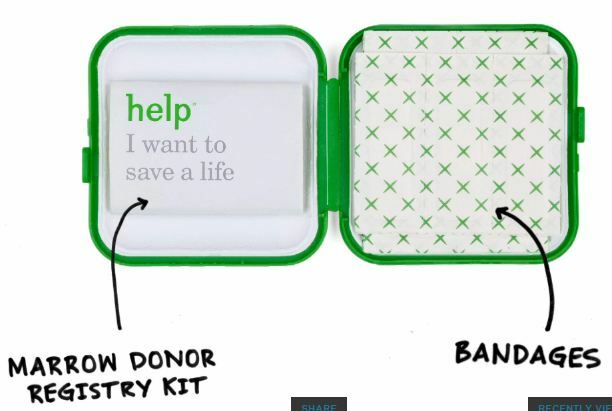 The donation solution is so close to the Help Remedies consumer; you’re already cut and bleeding, the perfect time for a swab sample! The best part in my mind is that after having bone marrow deficient patients on your mind plus your dainty little cut, you just might put on the bandage and think, “Wow. This is nothing compared to a bone marrow transplant.” Then, you might feel guilty or appreciative of your own life and send in your completed donor form… To save a life. The perfect time to give/get a sample. That’s not advertising. That’s not an attempt to win an award. That’s just making the world a better place. And by the way – check out Help Remedies’ website. It’s a great example of something that’s interesting and clearly shows their brand just wants to help people. Even if it means showing them with which fork to eat your salad.